Shout it from the rooftops, for there can be no doubt about it: summer is officially here! Yes, the sun is shining, the legs are out and the holidays are booked. Forget Christmas, this truly is the most wonderful time of the year. But with sun-soaked vacays and the dreaded “Bikini season” looming, there comes a whole new kind of dilemma: what to pack. Each and every holiday comes with its own packing rules, and often buying a whole new wardrobe seems sorely tempting, logical even. But sticking to shapes and styles that flatter your features and choosing colours that complement each other within a limited palette will help you to pack less and stay lightweight. So before you crack out your credit card and buy a new pair of sunglasses to go with each outfit (morning and night), check out our quick guide to sunglass success! Ever since Tom Cruise stole our hearts in Topgun, Aviator style sunglasses – with their large rounded shape and thin metal frame – have been a firm summer staple. A masculine yet timeless style that is the epitome of androgynous chic, a pair of versatile Aviator frames will help toughen up even the daintiest and prettiest of sundresses. Best for: Cocktails on the beach at sunset. Wear with: a floral maxi dress and flat gladiator-style sandals. Brands: Ray-Ban leads the way in Aviator styling, but don’t ignore offerings by Tiffany & Co, Diesel and Fan Frames. Frames: This wouldn’t be an ultimate guide without the Ray-Ban Aviators, but let’s not discount these by Sunset+, or these by Tiffany & Co with just a hint of mint to freshen up your look. 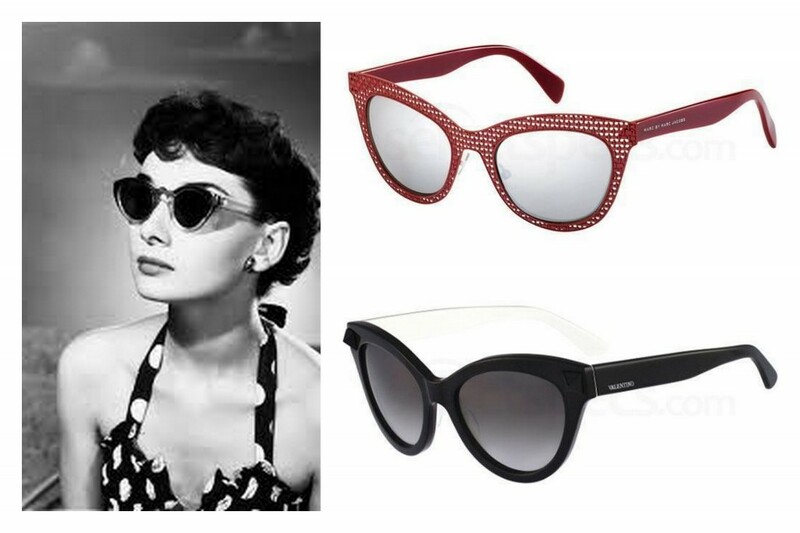 Ultra-feminine and ultra-sultry, a pair of cat-eye frames is the first letter for any vintage summer look. 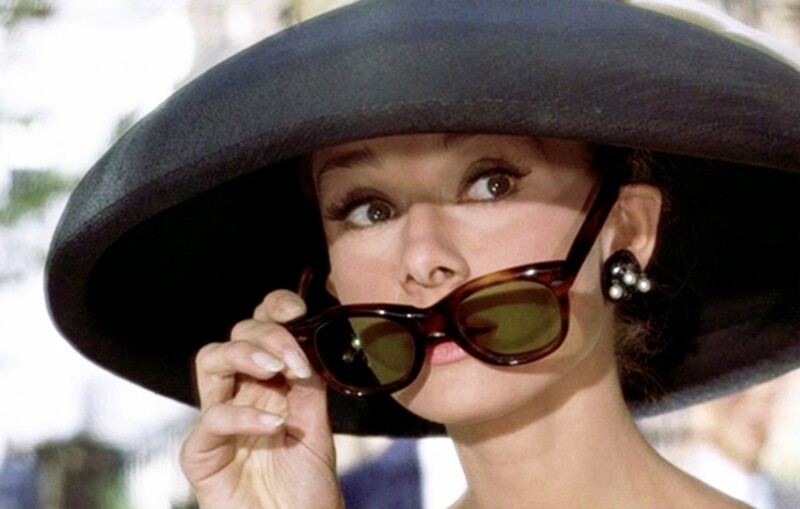 Modern-day twists on the retro winged frame made famous by Audrey Hepburn will make you look effortlessly on trend this summer. Universally flattering, cat-eye frames will slim your face whilst keeping you cool in the heat. As Seen On: Audrey Hepburn, Olivia Palermo, Kourtney Kardashian, Miranda Kerr. Best for: City breaks and poolside weekends. Pair with: A high-waisted bikini or a scalloped neckline. Brands: All your big-name brands have attached their name to a pair of cat-eye frames. Amongst our favourites are Tom Ford, Moschino, Dolce & Gabbana, Valentino and Miu Miu. If you’re on a budget, look no further than Sisley for a retro look without the hefty price tag. Frames: These frames by Valentino are your more classic cat-eye staple frame, but Tom Ford’s offering and these tortoiseshell frames by Miu Miu make a fresh alternative. Marc Jacobs, meanwhile, offers up this polka dot pair for a fun, fully retro look. Perhaps the most “on trend” of our styles here, these rounded tinted frames fall in line with this year’s 70s revival. Pair with sleek modern silhouettes for a twist on the look, or go all the way with palazzo pants, waistcoats and fringed accessories. Don’t let the sheer roundness of these glasses put you off; they are surprisingly flattering and easy to wear for all face shapes. 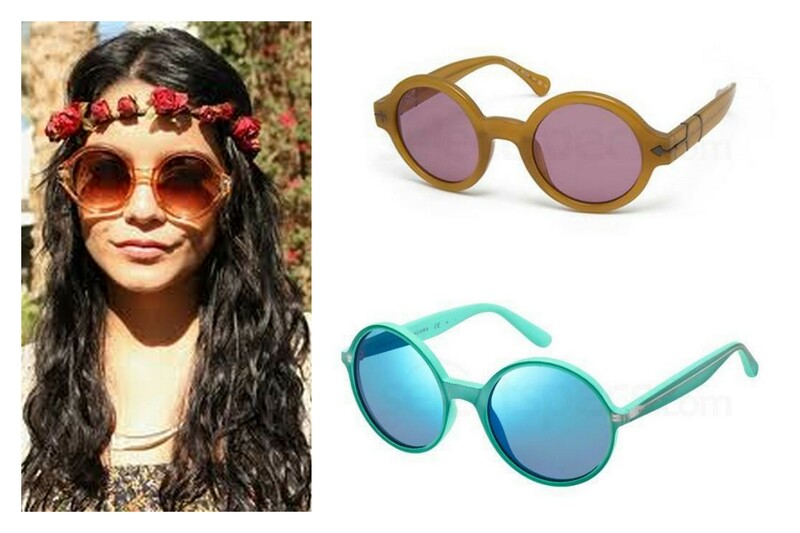 As Seen On: Coachella lovers such as Kylie Jenner, Vanessa Hudgens and Katy Perry. Best For: Festivals, festivals, festivals. Pair With: floral crowns, braided hair and denim cut-offs. Or go completely the other way and mix it up with masculine tailored pieces. Brands: Retro and Opposit nail that 70s vibe whilst remaining refreshingly affordable. Boss Orange, Just Cavalli and Marc by Marc Jacobs also have rounded frames that have been designed to flatter rather than accentuate round faces. Frames: Burgundy and tortoiseshell by Retro, rose-tinted by Opposit, mint by Marc Jacobs. Part 2 of Your Ultimate Guide to Sunglasses, featuring 3 equally stylish frame designs, can be read here! Next articleIn October, Wear it Pink!